Sarah took me to the auto show today at the convention center. I think it's the first time I've ever gone to one. 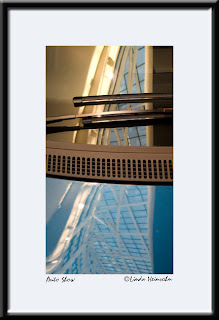 I loved the reflection of the amazing convention center skylight in the Smart Car. Pretty abstract, I know, but I like it.